Lothian House in Spennymoor, County Durham has become the sixth HC-One care home to be rated ‘outstanding’ by the CQC. The residential care home joined the top 3% of adult social care services following an inspection in December. The CQC highlighted the “extremely person-centred” care at the home, noting its family culture. Staff were praised for going “above and beyond”, with the CQC highlighting how residents were treated to a holiday to a local caravan park by the seaside. Staff at the home spoke of being part of “one big family”. One resident said that the family atmosphere had “boosted their confidence” while another said they would give the staff “10 out of 10”. Stephen Butterworth, Managing Director at HC-One, said: “I would like to extend my congratulations to the whole team at Lothian House on such an impressive report. The home is a real asset to the HC-One family, and they deserve every single bit of praise they have received. 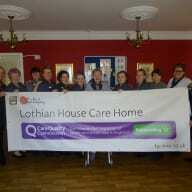 The post Lothian House becomes HC-One’s sixth ‘outstanding’ care home appeared first on Care Home Professional.